With the public release of Windows 8 right around the bend, things have been heating up in the Windows part of XDA. That means that inevitably there will be some fun Windows 8 stuff for Android for those who want a taste of the other side without actually getting a Windows phone device. 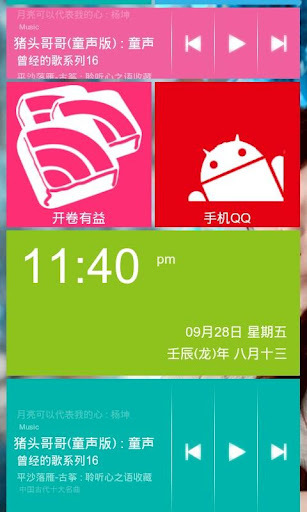 For instance, a Windows Phone 8 lookalike launcher has hit the Google Play Store. Of WP8 Desktop (LauncherWP8) specifically for the Android system to launch a Windows Phone 8 style desktop software, you can add a variety of styles porcelain block grid in eight different sizes, different colors, 8 different themes, customize your fully personalized the start screen. Big thanks to Google Translate for that. In an effort to make it more friendly, XDA Recognized Contributor melvinchng and XDA Senior Member frenzyboi are working on separate versions of the application that are translated to English. Until the app devs who created the Play Store version release an English version, the modified versions are about the best you’re going to get if you speak English. To get started, check out the application thread.